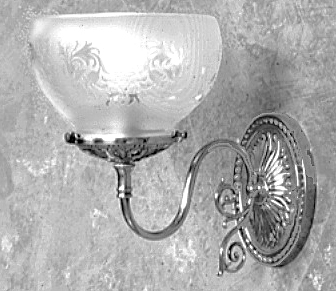 Center of box top of fixture: 7"
Measurements include glass shade shown in photograph. Special finishes available upon request. All fixtures are U.L. listed for dry location.